a replica of Stevenson' original oil lamp. It is the world's smallest working light tower. See here for opening times. 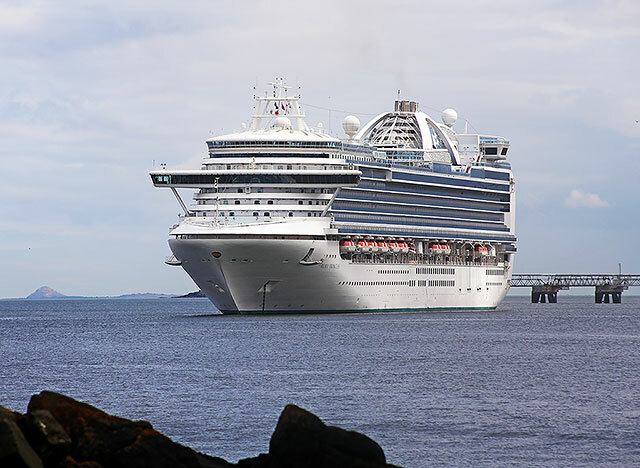 to Town Pier and the harbour. The road to the left is Battery Road, leading to the Forth Rail Bridge. 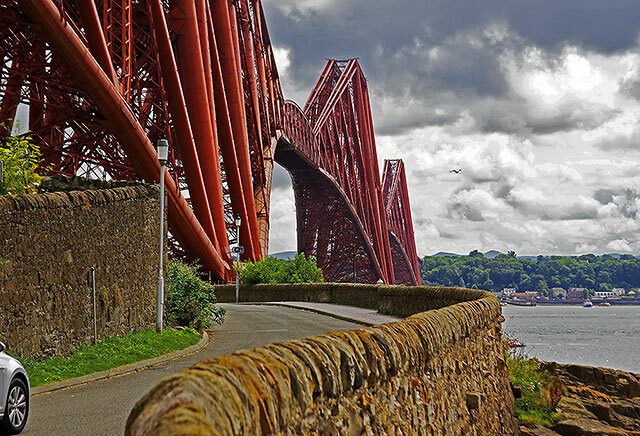 Leading to the Forth Bridge and the memorial to the men who died building the bridge. This flag is in a private garden. What is known about this flag? It seems to represent Scotland, Wales, Ireland, Isle of Man - and where else? That flag again! The flag is in a private garden. What is known about this flag? to the bridge, installed during the recent restoration of the bridge. It looks more impressive in the larger photo! 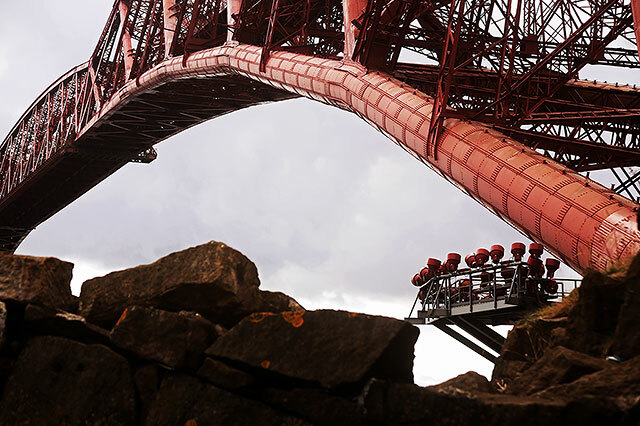 during the building of the Forth Bridge. 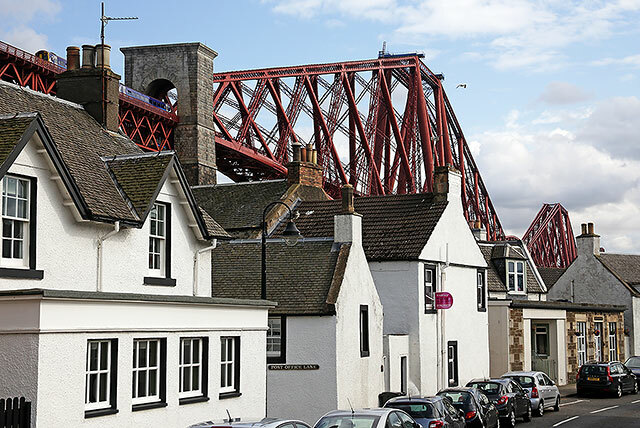 The other is at South Queensferry. 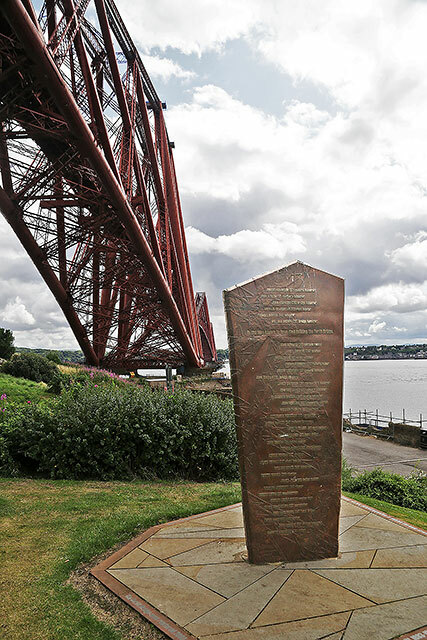 The project to find the names of the men who died was carried out by Queensferry History Group. in order to read the names on this memorial stone. 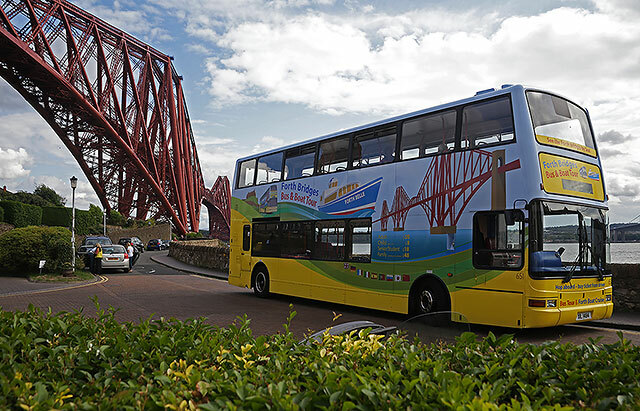 to the arrivals and departures of the Forth Belle Ferry - in this case, the 4.30 departure from North Queensferry. 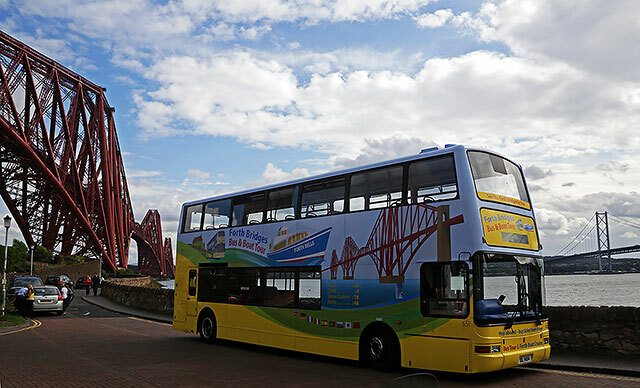 Forth bridge on the left (and painted on the bus): Forth Road Bridge (southern end) on the right. The hill in the background on the left of the photo is North Berwick Law, East Lothian, about 35 miles to the east. 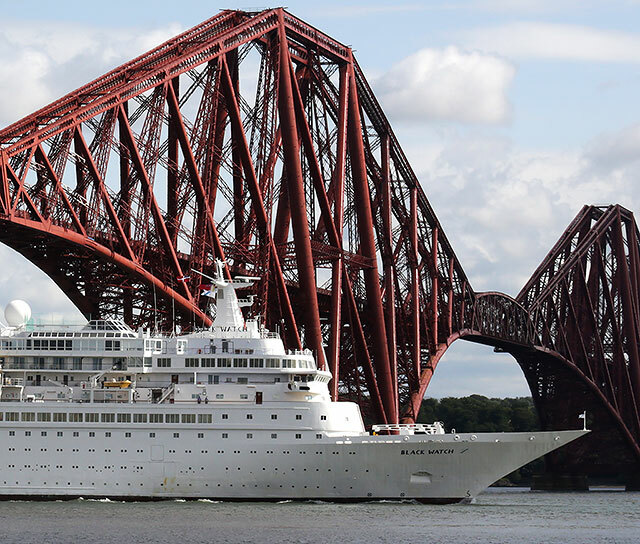 ''Black Watch' is owned by Fred Olsen Cruise Line: built 1972, capacity 758 passengers. See this Wiki page. 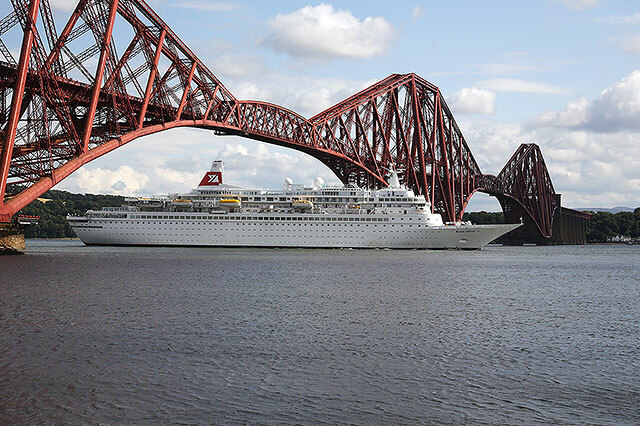 Here, the liner is passing under the Forth Bridge, to berth at Rosyth, on the north shore of the Firth of Forth. 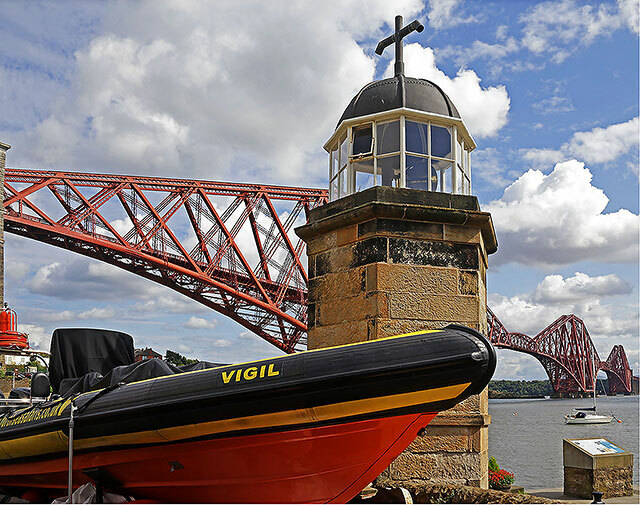 The tug, 'Strathdon' passes under the Forth Bridge and heads upstream. Container ship 'Charon J' heads downstream from Grangemouth to Rotterdam, its regular Thursday afternoon sailing. "I think that part of the flag - the section with the white cross on the black ground - represents Kernow (Cornwall)." Agreed. That looks like the flag of Cornwall. It is attributed to Saint Piran, a 6th Century Cornish abbot. This wiki page gives more details. "There is now just one part of this flag still to be identified. It's the part at the top nearest the flag pole, with the black and white stripes and black symbols in the corner. 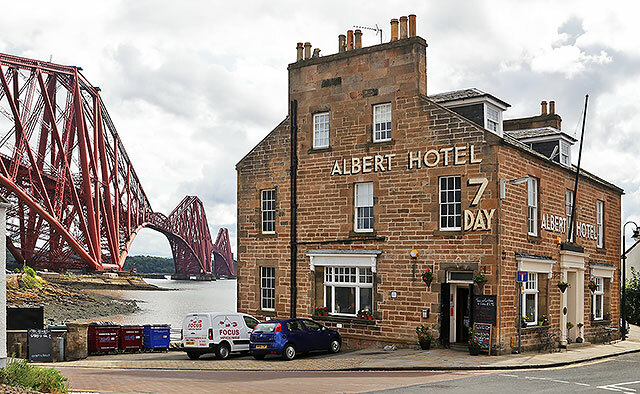 I went back to North Queensferry today to try to get a better photo of that part of the flag, but there wasn't much wind around, so this is the best image that I was able to get of it." "This flag looks similar to the Flag of Brittany that appears on this Wikipedia web page, but the symbols in the top corner nearest to the flag pole are different. so it is still possible that the flag on the pole at North Queensferry includes the Flag of Brittany." Thank you to Laurie Thompson for writing again. "I went back to the wiki page that you gave at the end of my 'Reply 1' (above). Lo and behold, right at the bottom of the page there's a 'Pan Celtic' flag which is similar (but not identical!) 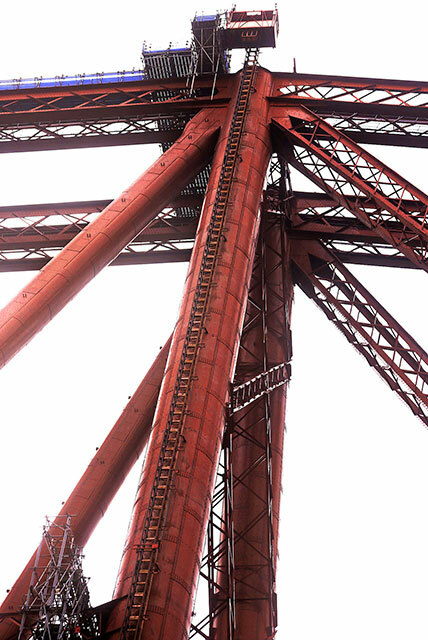 to the Queensferry one, together with details of its component parts. Take your pick! As you say, that flag is not identical to the one at North Queensferry, so it looks as if there may have been several varieties of 'Pan-Celtic' flag. Wikipedia refers to the component parts of its flag as having been taken or adapted from the flags of Brittany, Cornwall, Ireland, Scotland, Isle of Man and Galicia (Spain). 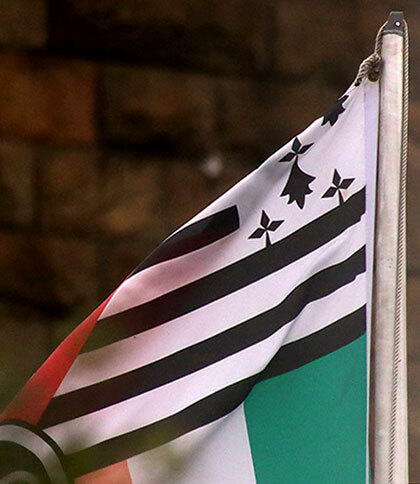 The Galician flag has a light blue diagonal line on a white background, but is not featured in the North Queensferry flag. 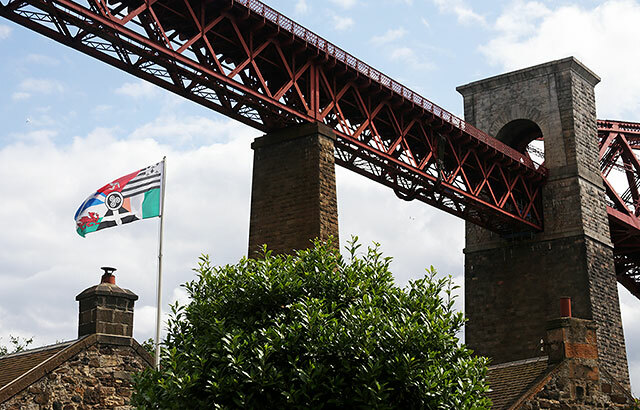 However there are many similarities between the Pan-Celtic Flag on Wikipedia and the one at North Queensferry, including the three 'white on black' spirals in the centre of both flags. Wikipedia describes this as the Triskelion symbol, constructed from mathematical Archimedian spirals. 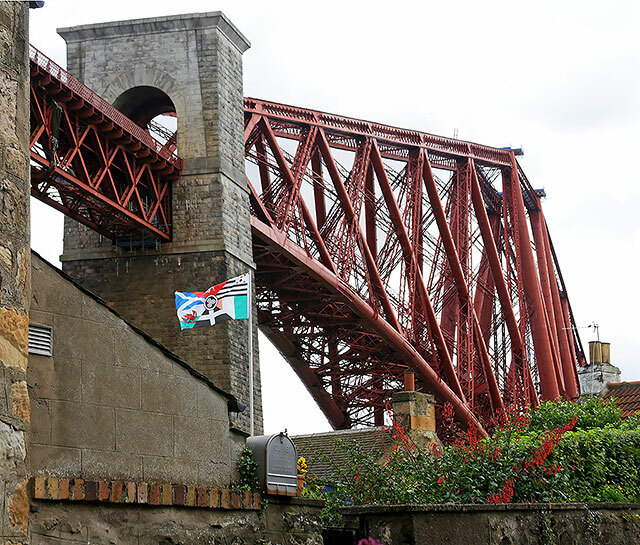 "Photo A below is a close-up of the North Queensferry flag. Photo B below is a 'Pan-Celtic' flag taken from Wikipedia. 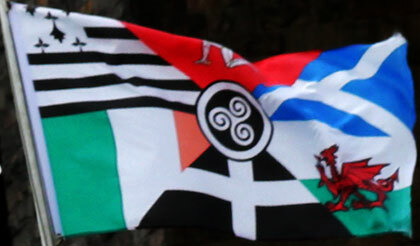 © Reproduced with acknowledgement to the Wikipedia Saint Piran's Flag web page and the Wikipedia' Pan-Celtic Flags web page. 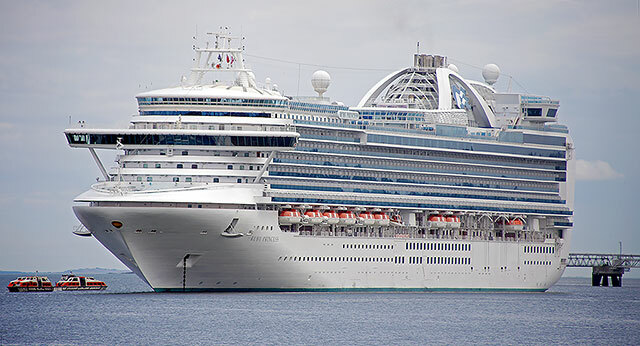 This image It may be reproduced subject to the conditions of the Creative Commons Attribution-Share Alike license. (1) The flag in Photo A is a 'Pan-Celtic' flag, based on the flags of 6 Celtic nations - Scotland, Isle of Man, Brittany, Wales, Cornwall and Ireland. (2) There are also other 'Pan-Celtic' flags that are similar to A. Photo B shows one of them. 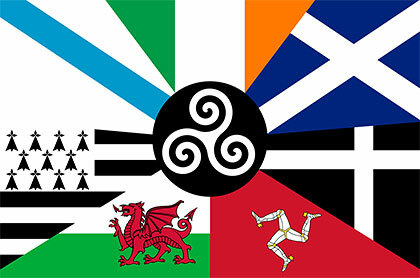 It is based on the flags of 7 Celtic nations, the 6 above + Galicia (Spain). (3) The 'Pan-Celtic' flags in both A and B above have at their centre a symbol constructed from spirals. This CRW flags web page describes this symbol as a 'spiral triskele', a very ancient Celtic design, one of the most frequently found symbols at ancient sites inhabited by Celtic people."